While there is still no indication as to when Daredevil Season 3 will debut, new reports have surfaced that seemingly confirm who the main villain is, and who is playing him. A Reddit user who is reportedly working on the first few episodes of Daredevil Season 3 has revealed that the main villain will be Bullseye, which is confirmed by a second report which reveals Wilson Bethel is playing this villain. Wilson Bethel was cast back in November as an FBI agent, but it seems that casting was a ruse to hide his true role of Bullseye. There is speculation that this version of Bullseye could be based on an iteration of Bullseye created by Jason Aaron during his Punisher Max comic book run, where Bullseye is named Sheldon Pendergrass, a highly-skilled marksman and assassin who is well-trained in hand-to-hand combat. While that has yet to be confirmed, a Reddit user dubbed "defenders_throwaway," who claims to have worked on Daredevil Season 3, confirmed the presence of Bullseye in an older Reddit post that is starting to re-surface. Here's what "defenders_throwaway" had to say in his Reddit post. "Currently working on the first episodes of DD3. It starts really slow and introduces too many new characters. the plot could go either way, hard to say at this point. But they do a whole episode about Bullseye's background and I think its cinematically the best episode out of all of Marvel shows so far. Kingpin gets all the files and tapes about Bullseye and he "walks" through bullseyes memories to look at his life. It is fantastic. DD3 is a bit slow and convoluted. It really picks up the pace in the middle and I think the end of the season might turn out great. Bullseye is legit scary. Nobody wears their costume from the comics. DD is more of the same, but again, anything involving Bullseye is a standout. They really nail the fact that he's deadly from afar." While Reddit certainly isn't always a reliable source of information, this "defenders_throwaway" character has certainly proven his or her self. The previous details he or she leaked about The Defenders and Jessica Jones Season 2 were all accurate, leading many to believe this individual is actually part of the production team on these Marvel Netflix shows. Plus, given the fact that another report confirmed Bullseye, and the actor who's playing him as well, does lend credence to the validity of his information. Now all that remains to be seen is when Marvel and Netflix will confirm this news. Production started on Season 3 of Daredevil back in November, and we reported in January that Joanne Whalley has signed on to to play Matt Murdock's (Charlie Cox) mother, while Season 1 star Vincent D'Onofrio will return as Wilson Fisk, a.k.a. Kingpin. Elden Henson (Foggy Nelson) and Deoborah Ann Woll (Karen Page) will also reprise their roles this season. 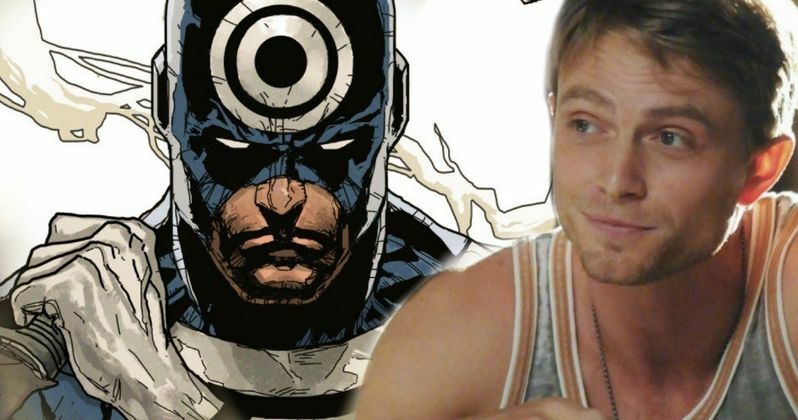 That Hashtag Show broke the news of Wilson Bethel being cast as Bullseye on Daredevil Season 3.